Supreme Deck Restoration & Deck Cleaning Michigan specialize in exterior wood deck cleaning, sealing, restoration, refinishing of decks, Log homes, furniture, and fences. ; Deck Cleaning Michigan also uses top rated products to seal exterior wood surfaces. Supreme Deck Restoration has been sealing, staining, cleaning, stripping decks, log homes, Rainbow Play sets, and fences since 1991. We have serviced over 10,000 decks in the Oakland, Macomb, Livingston, Wayne, Monroe, and Washtenaw Counties in the Metro Detroit, Michigan area. We use bio-degradable chemicals and oil based sealers (low V.O.C.) to help protect the environment. 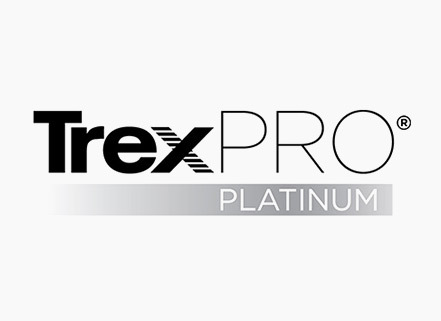 We specialize in the removal of previous coatings that either peel or fade. Deck Cleaning Michigan stains and seals our decks with professional grade Olympic stain, TWP stain, TWP 1500 series, Duckback Superdeck sealer, Rymar sealer, and Sikkens Coatings. Unlike our competition, we apply all of our deck coatings by hand brushing the sealer, stain, or preservative instead of spraying them. We have several crews trained in deck repair and board replacement, so we can replace any of your decks rotted wood boards or complete tear out. None of our work is sub-contracted; all of our employees are trained to handle all of your exterior wood deck care needs. Supreme Deck Restoration, Inc. makes it easy to have to only hire one contractor to service your deck. Supreme Deck Restoration weathers most of the wood that is installed in your deck. By installing weathered cedar floor boards we can ensure that the boards match up better to the existing deck floor. Most deck handyman or deck repair companies install new cedar boards from the lumber yards or big box stores. New lumber does not accept oil based stain like weathered boards, because it still has it’s own natural oils present in it. New cedar or pressure treated boards are nearly impossible to match up to the rest of the deck boards. Your deck is an investment and it needs to be maintained every year to keep it sealed and protected from the environment. The lumber that is being harvested today is not the same as it was 50 years ago. The trees the lumber mills harvest are younger and not as resistant to rot. This means that your deck will not last as long as the same deck installed 30 to 50 years ago. It is very important to have your deck sealed yearly or bi-yearly to try to have it last 30 plus years. The suns UV damage destroys exterior deck coatings very rapidly in Michigan and most exterior deck wood coatings only last for 12-18 months on the horizontal surfaces even the top rated coatings (Olympic, TWP, Sikkens, Superdeck, & Rymar). The stain companies like to think their product last for 5 years. However, if you read the fine print they do not stand behind that guarantee. We see most semi-transparent deck stains last for 3 years on the floors at most. It is important to hire a contractor that has experience. Supreme Deck Restoration has far more experience than other deck cleaners and re finishers in Southeast Michigan, let Deck Cleaning Michigan and Supreme Deck Restoration, Inc. experience work for you. We can give you a free estimate on your deck care and Rainbow playscape needs. Call us today for scheduling and more information on our deck restoration services. Exterior wood decks, Rainbow Play systems, & wood siding are all we do. Count on deck cleaning Michigan & Supreme Deck, Inc to insure that your exterior wood deck is protected for years to come. Supreme Deck Restoration, Inc. has the experience to remove even the most stubborn of coatings, except solid color stains, where most deck power washing companies simply grind the coatings from the high pressure and destroy the wood (Cedar & Pressure Treated). Behr semi-transparent stain from Home Depot is a common deck stain that homeowners apply and we remove because of failure. Behr stain was formulated for the West Coast and does not hold up well in Michigan winters. Most Homeowners find that come the following spring that the Behr product did not penetrate and starts to show peeling problems. The removal of Behr stain is a 4 step process. Behr stain or other film based water borne products are hard to strip and can not simply be powerwashed to remove it. 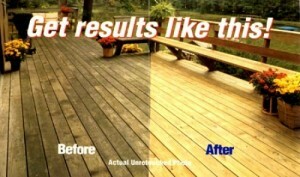 Supreme Deck Restoration, Inc. gives free estimates in all Oakland, Wayne, Washtenaw, Lapeer, and Macomb County areas. We have trained people in the office to answer your calls, not transferred to a cellular phone or voice mail. Deal directly with the owners on the estimate for any questions that you may have about your exterior wood deck or Rainbow Playscape. You will have an estimate that day of the bid and not several days later. Call us today for your free deck restoration analysis.